Explore the exciting world from the Disney movie, Zootopia, with the Disney Zootopia The Essential Guide Hardcover Book! A perfect partner to the humorous action-comedy movie, set in an animal world where humans never existed! 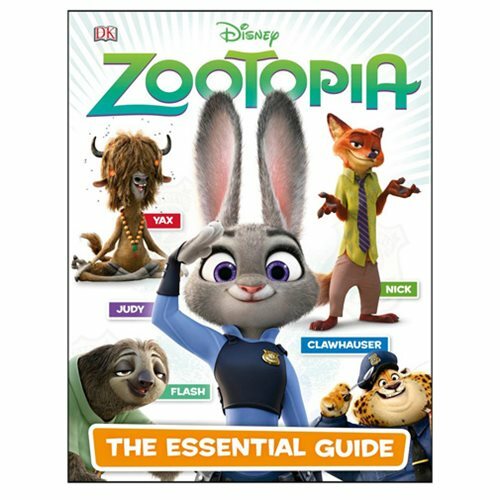 The Disney Zootopia The Essential Guide Hardcover Book introduces the characters, including fast-talking fox Nick Wilde and rabbit Judy Hopps. Key locations and iconic moments from the Disney movie are also covered in this fun book. The 64 page book measures 10 3/10-inches tall x 8-inches wide. Ages 13 and up.